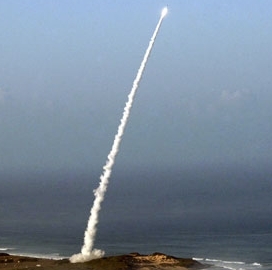 The U.S. Army has awarded eight companies positions on a potential nine-year, $3.04 billion contract to support research and development of space or high-altitude and missile defense technologies. Contractors will vie for task orders to help the Army design, build, integrate, demonstrate and provide domain-one services for hardware and software platforms under the indefinite-delivery/indefinite-quantity contract, the Defense Department said Thursday. The Army Space and Missile Defense Command received eight bids for the project through an online-based solicitation and will provide funds and work locations with each order. The Pentagon expects contractors to finish contract work by Feb. 8, 2026.